TANGO: In a time of growing fear, uncertainty and darkness, I felt a growing desire to express a return to the basic human values of love and fraternity that have always brought light to our existence. We live in a time where many issues affecting humanity are expressed in bold and divisive terms of ‘black and white’, sometimes without deep thought or reasoning behind them. 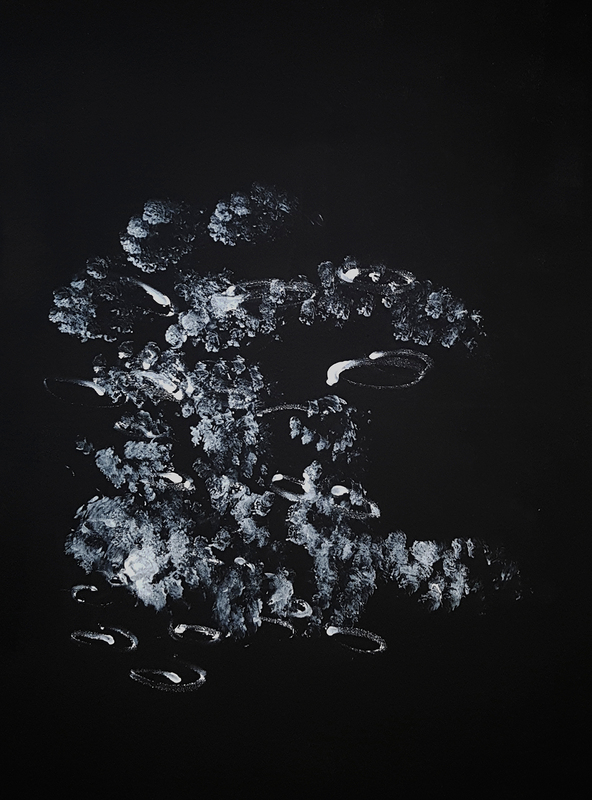 This gave me the idea of bringing a broader spectrum to the discussion by exploring and expanding the monochromatic spectrum between black and white, to show that there are many layers and viewpoints in between. 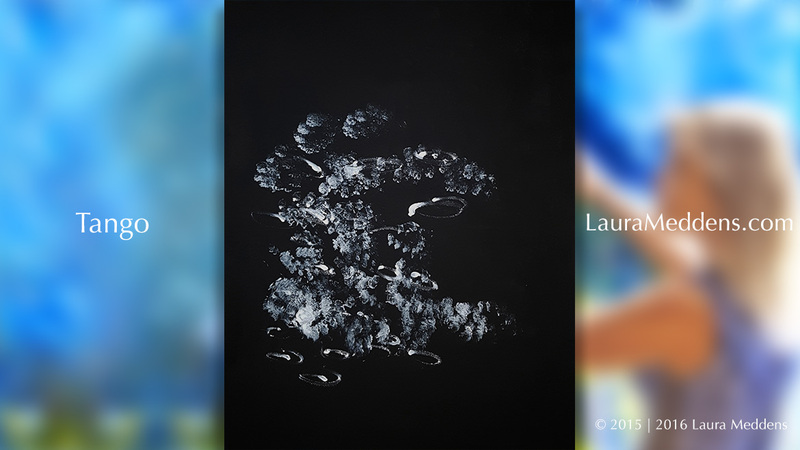 This was achieved using progressing layers of black, grey, silver and white acrylic paint that take you on a journey of interpretation determined by your distance from the canvas, and the luminance of the surrounding light. The ‘big picture’ consensus that emerged was a rear view of a woman dancing a Tango, because of the perceived positioning of her head and shoulders. As you move closer and deeper into the detail of the painting, you discover faces and other imagery perceived by the eyes of the beholder. I think it’s a fitting metaphor to ‘the dance of life’.